Fort Reno was built in 1875 and named after a General Jesse L Reno who was died at the battle south mountain. It was built to support the Cheyenne uprising in 1874 and was built on Indian territory. The fort was quite heavily manned at all times and acted as a central point for troops to be dispatched to various areas to deal with the waring Indian tribes. It also had men stationed here to protect five more friendly Indian tribe which were near by. The fort also housed the famed 9th cavalry of Buffalo soldiers. 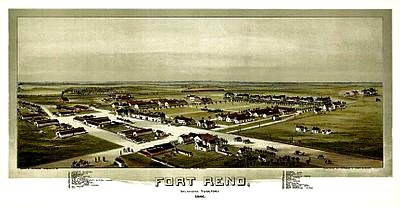 In 1907 when Oklahoma was granted statehood, the fort stayed manned for only a short time until it was abandoned on Feruary the 24th, 1908, though it remined in the hand of the military and acted as a remount depot until 1949. it also served as a German prisoner of war camp during the world war 2 years. Today the building is used by the US department of agriculture and also houses monthly ghost tours around its grounds. The fort has seen a number of deaths on its grounds, as you could expect for such an old building of this purpose. From construction accidents to executions to battle deaths. The fort never saw any major attacks during its days of operation but many wounded soldiers were brought back here and later died. 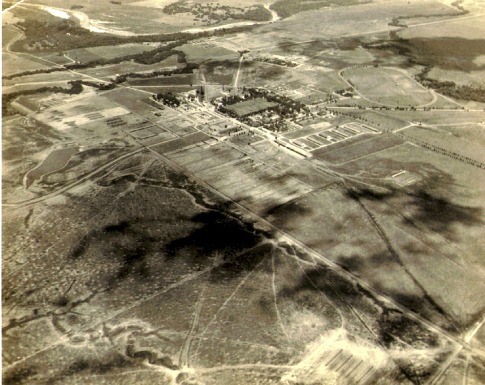 Also a number of German prisoners died here during its time as a P.O.W camp. Orbs have shown up on photos here much more frequently than other haunted sites, and a ghostly mist has been captured on the inner courtyard, especially after dark. The rooms and corridors in the building echo with an uneasy feeling and people have reported to feel suddenly ill in various areas of the building with a feeling as if someone has passed right through them. It is not known exactly how many people died here or how many different spirits linger but by far the most noticeable way they like to make themselves known is by showing their faces. Photos taken of the outside of the building have later revealed a face staring back at them which was not seen with the naked eye. This building lacks the presence of apparitions in general but does however make up for it with the human shaped shadows which have been seen disappearing round corners and through now bricked up doorways.